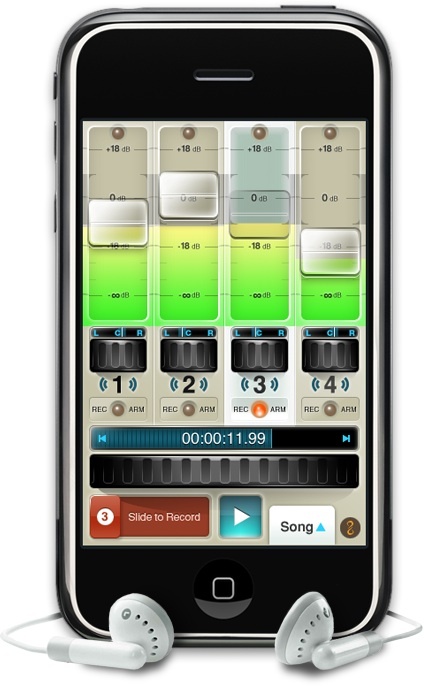 Here’s another option for those wishing to step up their mobile recording setup. Offered at the introductary price of $9.99, FourTrack by Somoma Wireworks offers 44.1 khz CD-Quality recording along with WiFi file transfer to desktop comps. Gotta admit that I haven’t been following music development for Windows Mobile… I had a rough experience with it a couple of years ago and swore off all mobile devices that were windows based. I know that the guys over at Mixtikl were working on something a little while back, not too sure what’s been happening with it recently though.